Dementia is a term referring to the decline in one’s mental ability that is severe enough for it to be interfering with their daily living. This is not a specific term, as it is an overall term used to describe a variety of symptoms. For example, Alzheimer’s disease accounts for 60-80% of all cases. The second most common type of dementia is vascular dementia, which occurs after a stroke. Symptoms of dementia can vary greatly, however a person must have at least two of the following core mental functions be significantly impaired to be considered as having dementia. The following mental functions include memory, communication and language, ability to focus and pay attention, reasoning and judgement, and lastly visual perception. For many patients with dementia, they have difficulties with their short-term memory, such as forgetting where they left their keys and not remembering appointments they made. Dementia is progressive, meaning that symptoms tend to worsen over time. This is why it is important to visit your doctor immediately if you or a loved one is suffering from memory loss as their condition will likely worsen if left untreated. Dementia is caused by damage to the brain cells, interfering with the brain cells ability to communicate with each other. It is important to treat dementia; however there are multiple tests for dementia. For example, diagnosing Alzheimer’s requires a thorough examination of one’s medical history, a physical examination, and a variety of laboratory tests. Doctors can determine that a person has dementia with high certainty, however determining the type of dementia is a challenge. This is because many types of dementia have overlapping symptoms and tend to overlap with one another. Treatment options include drug treatments to temporarily improve one’s symptoms. However, for most progressive dementias, such as Alzheimer’s disease, there is no cure to slow or stop the disease from progressing. To be eligible for this tax credit program, a patient with dementia would qualify under the disability section entitled mental functions. You must have difficulties performing daily activities and have a medical doctor or a qualified practitioner sign this form. Mental functions required for everyday life include adaptive functioning, memory, problem solving, goal setting, and judgment. For memory, memory loss can impair one’s ability when remembering simple instructions, personal information (name, address), and materials of importance. For a patient to qualify for memory loss, they must experience it either all or most of the time (at least 90% of the time). Patients must be considered as markedly restricted, despite medication or therapy. 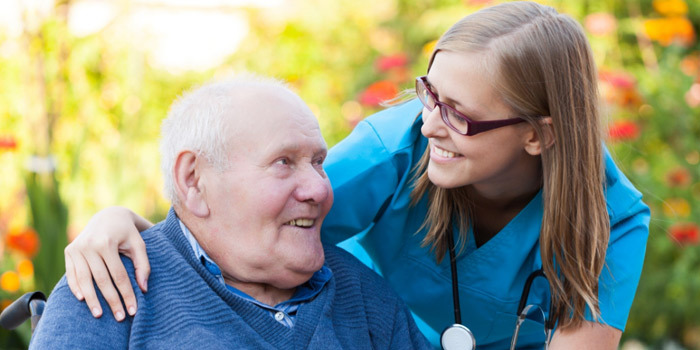 How To Apply for Disability Tax Credit for Dementia? To apply for this tax credit Form 2201 entitled “Disability Tax Credit Certificate” must be completed by a registered medical practitioner. This tax credit is only available to those who have taxes payable. DCC can help to claim this tax credit and collect up to $40,000 in disability tax credits.